I don’t have time to write an essay. I don’t have time to outline my points, think of a snappy ending, or edit several drafts until it’s ready for submission. 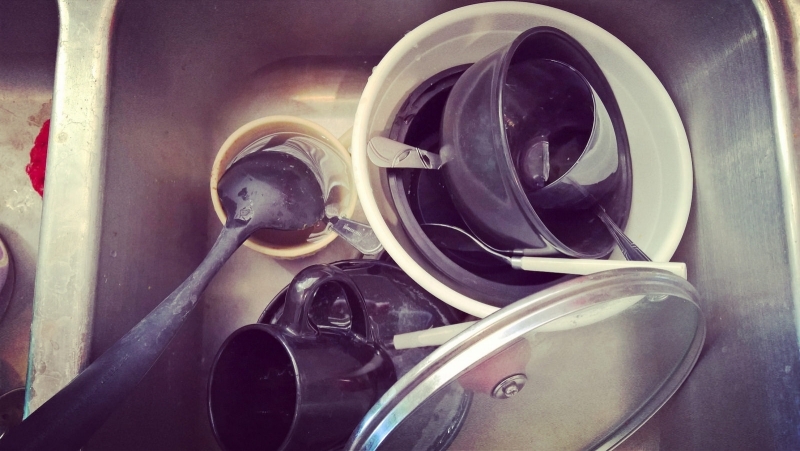 Rather than staring out my window while I let ideas take shape I should be washing last night’s supper dishes or running to the store to get toilet-bowl cleaner. But instead I give in to my craving, jot down the time, 8:43 p.m., and start scribbling. What sort of extras do you have time for? Yoga? Scrap-booking? TV? Floor mopping? Puzzles? Going to the gym? Movies? I’m afraid I don’t have time for any of those things. My life is too fast-paced for such indulgences and I’m simply much too busy. Busy picking dandelions. Isn’t it wonderful most of us have some choice in what we do with our time–even if it’s just a half hour a day? I think yoga must be terrific but I don’t know how I’d ever squeeze it in at times like these when digging dandelions roots is absolutely urgent. I read somewhere that millions of French children, women, and old men feel the same way I do. Though I’m not sure this is true, I like to imagine the French roaming the countryside en masse in pursuit of the aptly named pissenlit. 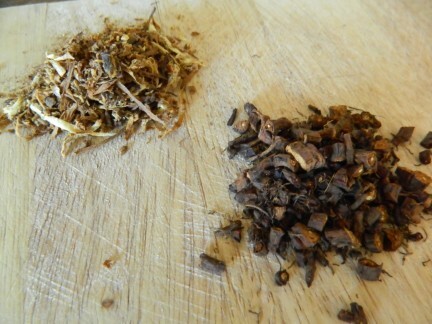 Besides it’s diuretic action, dandelion root is an immune system stimulant, lowers cholesterol, reduces inflammation, and can be used for digestive problems, according to my two beloved books. If you are collecting the root for coffee, or the greens for salad, it’s best to do it is in spring before the yellow flower appears. After blossoming, the leaves get too bitter and the root quality is compromised. 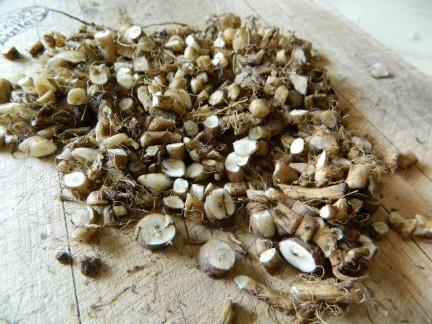 You can harvest the root in late fall but I find the coffee made from spring roots more pleasant and not at all bitter. 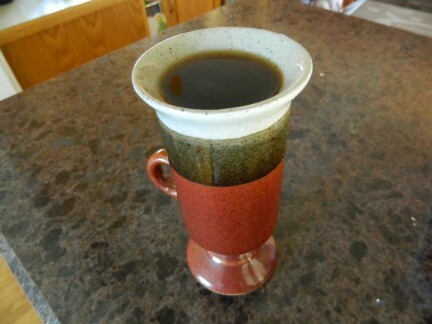 I also tried roasted parsnip root coffee (did I tell you how busy I am?) but it was disappointing. I thought it would taste like caramel latte because of the root’s innate sweetness but it ended up tasting like roasted parsnip. Shucks. Dandelion coffee, on the other hand, is something I wish I had more of. Yes. I wish I had more gigantic dandelions to dig up but now my garden is completely clean. Our lawn is still full, of course, but those roots are much smaller than the ones grown in loose soil, and hardly worth picking. Perhaps foraging is best done in lesser amounts anyhow; better to be wanting more and waiting for next year’s seasonal ritual than over-doing it. Soak freshly dug roots in water to loosen dirt. Scrub roots and let dry on a towel for a few hours/day. 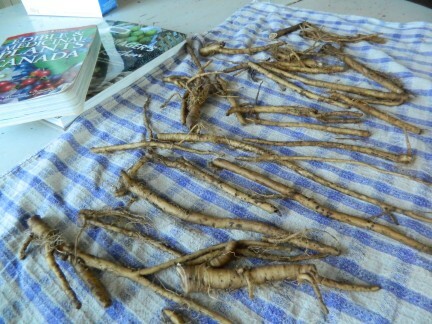 Chop roots into evenly sized pieces and dry. To prepare a cup of fresh brew, boil water and use a french press (or a tea pot) to steep ground roots for at least 5 minutes. I like my coffee and tea black, so I don’t add anything to this, but it might be nice with cream, sugar and cinnamon. Have you ever read two contradictory books at the same time? It’s an interesting little experiment. When you pick up one book, your mind sets off running in one direction; with the next book, every page sends your thoughts exactly the opposite way. My literary dual happened mostly by accident. Two different people recommended two different books, and I happened to pick them up from the library at the same time. Craft cabinet in main living area–I arranged NOTHING before this shot–I didn’t even have to open any doors or drawers. 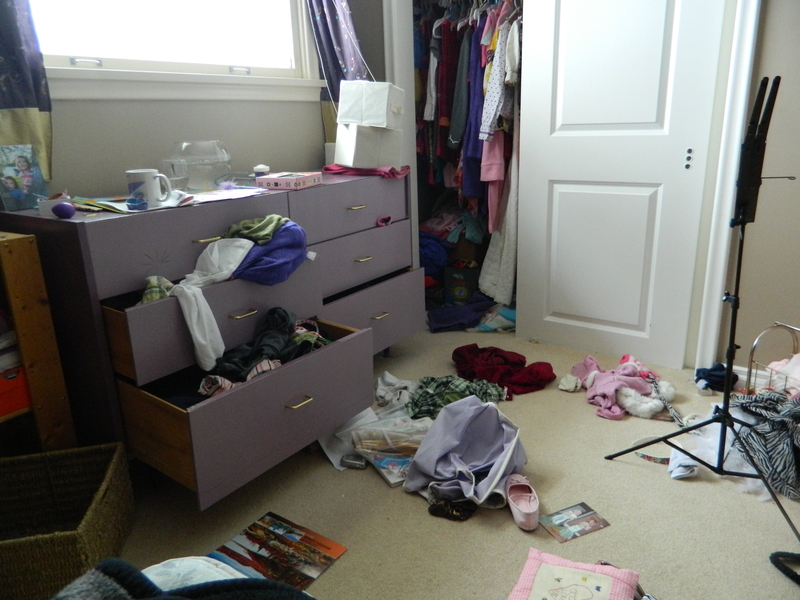 This is not pathological mess, just what happens naturally if things are not picked up for a day (or even a few hours). *Side note: My house is like a boiling pot of pasta; if I’m not right on top of it, it boils over. Sometimes, I feel like all I’m doing is clamping down on the lid, or giving it a quick stir before the whole thing explodes over the top. The authors’ stories of successful hardware stores outselling big box stores, precisely because they are chaotic and overstocked, and scientists who make world-changing discoveries (penicillin) are fascinating. 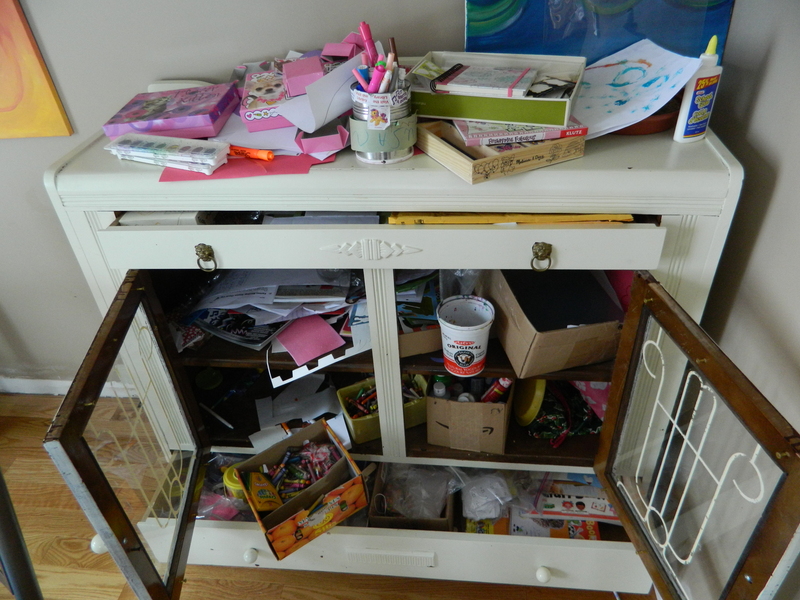 The thread of their argument–we incorrectly assume order/neatness/planning is beneficial in any organization, home or relationship and we underestimate the efficiency, creativity and innovation that comes from disorder–is thrilling for someone like me. 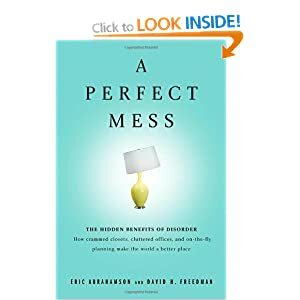 I am halfway through A Perfect Mess when I pick up the other book I had checked out: 168 Hours: You Have More Time Than You Think. The author, Laura Vanderkam makes a case for order. Specifically, ordering your priorities so every hour of the week–all 168 of them–are spent wisely, according to your “core competencies”, life plan and vision. She makes some good points, and I am inspired enough to take notes (again, messy notes on shreds of paper), but by Chapter 5 I start getting panicky. Addressing professional time management, she counsels readers to forge the right connections, start blogs to attract thousands of readers, and spin a story to make a name for themselves in their industry. Most importantly, she advises readers to spend every minute of their 30-50 hour work week (her recommended minimum amount) in a way that directly contributes to their professional goal. The next morning I reach for the mouse, to check my email and blog stats, even before I start making breakfast. I still feel a little jittery, wondering how I will ever be able to “brand, name, spin, and connect” enough to accomplish my own professional goal: to write a book and get it published. And so, with sleep in my eyes I click on logins and passwords, eager to start my day with a message, a comment, or some such “hit”. Soon Belén wanders into the kitchen and I dutifully minimize the screen as every mindful-mom would. I haven’t really had time to think about what I’m giving up with all this mind-chatter and reading about what I’m trying to get. She nails one of my many weaknesses on the head, but before I can agree or disagree, she tells me she’s giving up cleaning her room. I don’t always observe Lent, and I wasn’t really prepared to do anything this year, until a few moments ago. Suddenly I know what I want to do without. For the next forty days, I want to wake up without the internet. In fact, I’m going to wait until noon until I check my email or wordpress site. And maybe, instead of worrying about all the connections I’m failing to make or the great leaps ahead of me in my professional life, I’ll start my day in stillness. Stillness without a flickering monitor. The kind of stillness where I might calibrate my agenda with a verse or a prayer, instead of a self-help guru. It’s really an embarrassingly small sacrifice. Denying myself a few messages in the morning seems paltry compared to other great acts of spiritual discipline, but that is where I am at today. Perhaps this change in my daily routine–seven days of slower starts–will add up to nothing more than a mere hour, or two, per week. Even so, I’m hoping this changes the other 166 hours! PS. I don’t think I explicitly said this, but I recommend both of the books I mentioned in this post, especially if read simultaneously!